Police were led to the guns after a bystander flagged down officers upon seeing a motorcyclist with a rifle near South Figueroa Street and West Gage Avenue, explained the LA Times. 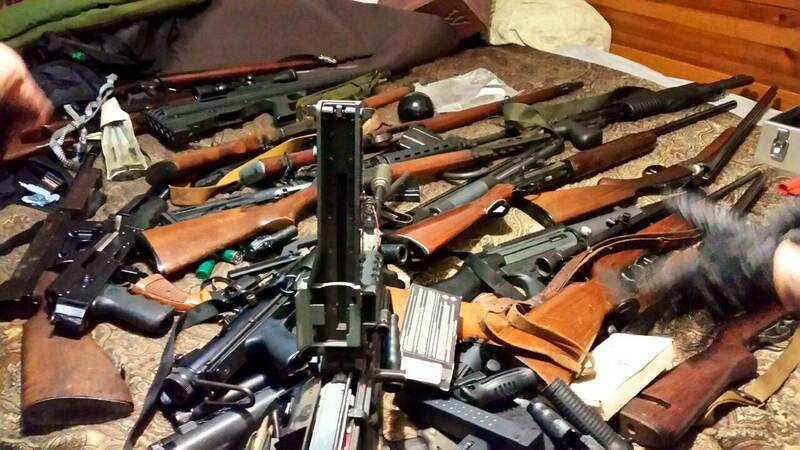 After taking John Menzies, 50, into custody after responding officers discovered he not only had a rifle but a handgun, a search warrant of his residence turned up the hardware later displayed on social media. The super clean “rocket launcher” looks to be an M72 Light Anti-Tank Weapon (LAW) tube, which are sold inert (sans rocket) for about $250 and, other for their use as an impact weapon, are pretty harmless. Airsoft versions in 1:1 scale are also available for slightly less. However, it should be noted that LA has a pop-culture trope with the LAW as a readily available “street weapon” in films such as Falling Down and Beverly Hills Cop II. The shotgun above it, however, looks a lot like an NFA charge waiting to happen. The photos also show off a budding classic firearms collection to include a Remington Rolling Block from the 19th Century, a Winchester gallery gun with its tell-tale takedown screw on the left of the frame, two French MAS 36 rifles– including one still in its 1970s arsenal “mummy wrap,” an Enfield .303, a Winchester 52 and a Franchi SPAS 12 (another Tinsel Town favorite). There are some stinkers in the bunch, with the overly squared-off forearm on the “Tommy Gun” tipping to the fact that it is likely a Volunteer Industries Commando knockoff. There is a Tec-9 and a couple of .25ACP jamatatics as well. 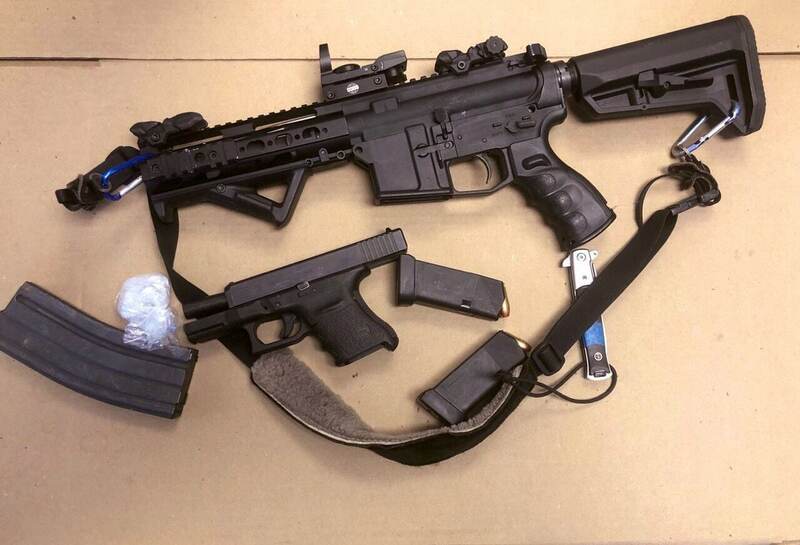 The LAPD also released some images of the guns in a more jumbled state. Is that a Magic 8 Ball? Yes, yes it is a Magic 8-ball. Also, if the bright barrel clamp on the front of the M249 looks odd, it’s because they are usually only just seen on airsoft versions of the gun in 6mm BB. Just saying. The Walking Dead-style maglite suppressors, if real, could be a big deal unless of course, they are solvent traps. The baby Glock is real as it the really nice $10 Chinese spring-assisted knife but we can’t vouch for the SBR at the top. Menzies was booked on weapons charges and his bail was set at $500,000. 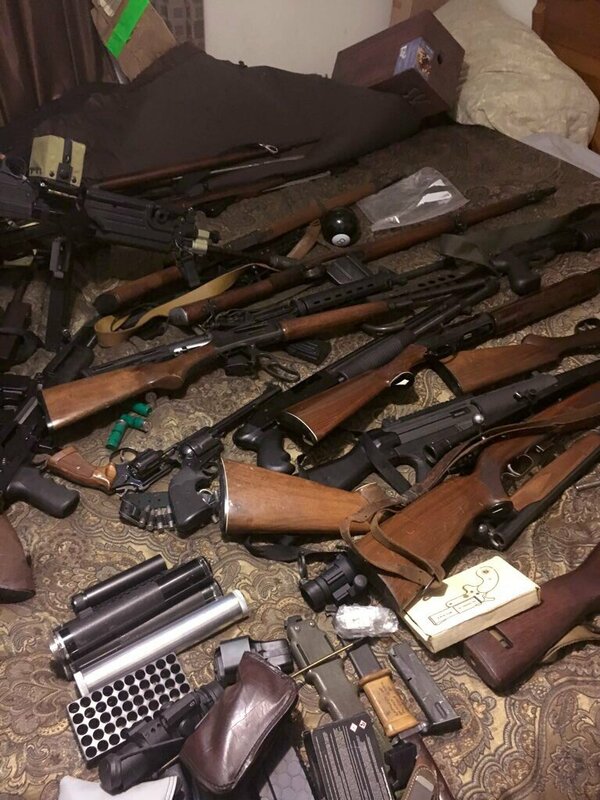 The post LAPD weapon bust has some interesting odds and ends (PHOTOS) appeared first on Guns.com.